If a school knows or reasonably should know about student-on-student harassment that creates a hostile environment, Title IX requires the school to take immediate action to eliminate the harassment, prevent its recurrence, and address its effects. 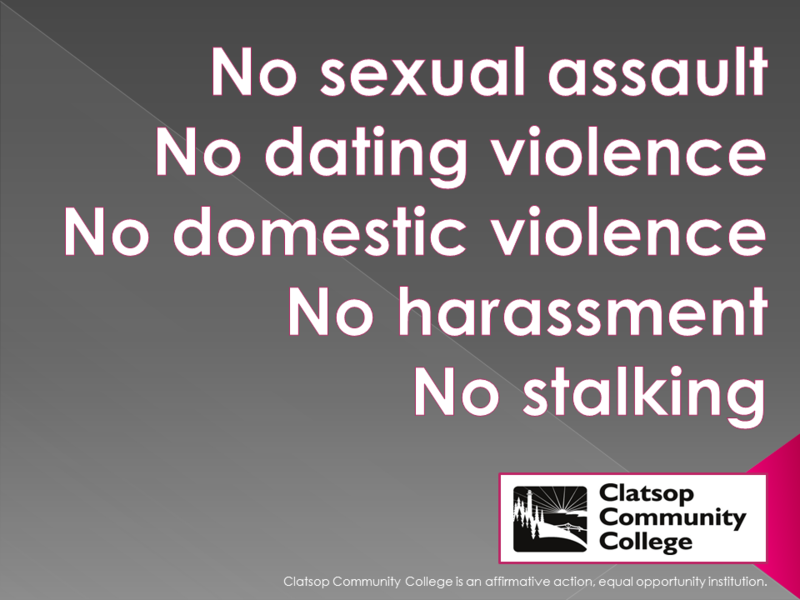 Clatsop provides Title IX training to students through New Student Orientation, and to all employees through new employee mandatory training. Ongoing education is provided through online trainings, and information sessions on topics of importance. Students are encouraged to report a violation or discuss concerns with any of the above listed college representatives. Faculty and staff also have been trained to assist you in reporting.